I am going out to an auction this afternoon and noticed when I previewed it on Auction Zip that there are some vintage textiles up for auction. 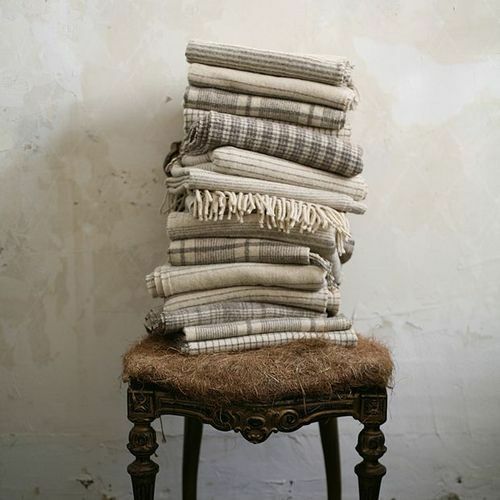 I am in love with old textiles. 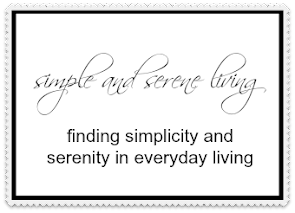 Embroidered and crochet pieces, linens, tablecloths, tea towels, and bedspreads all call my name. 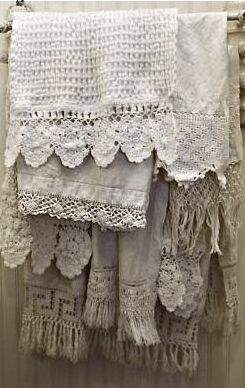 So I thought I would psyche myself up by looking at some textiles on Pinterest. I could definitely spend the rest of the day looking on Pinterest, but if I am going to get to the auction preview and look through those boxes, I need to get myself in gear. P.P.S. The sun is actually shining today. I had almost forgotten what it looks like. It certainly gives a boost to the spirits. I am hoping they figure out what is wrong with Katy so they can get her out of that hospital soon. I did manage to get some beautiful things. Wish I could have gotten more, but had to let some of them go. SIGH!!! Thanks for the good wishes for my daughter. Her health is very complicated, so I hope that the Pet Scan will help them figure out what is going on. 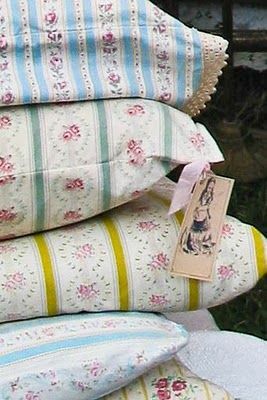 Such pretty textiles! I hope you enjoyed the auction. I, too, was pleasantly surprised to see the sun here today. I love auctions Gina, and I think how lucky I am that they are a part of my business!!! I always love those muted stripes. So soothing to me. 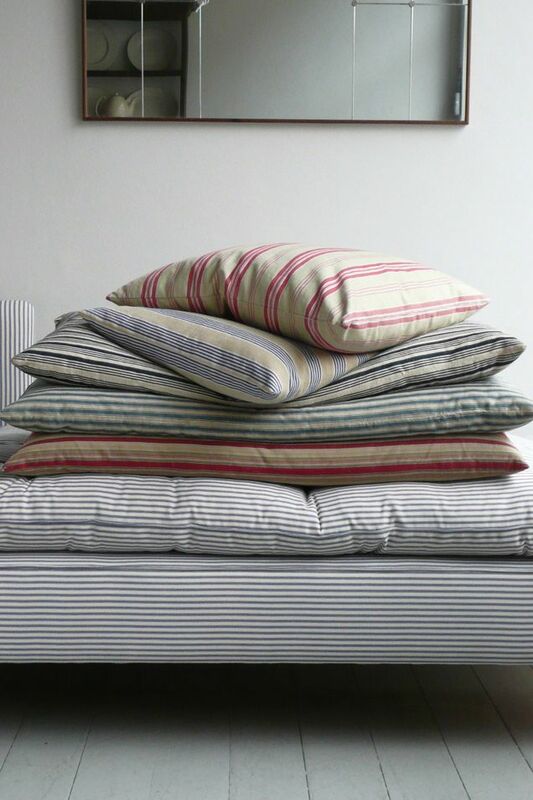 Love linen. If I had kept all the pieces that I have bought, I would have a closet full. I've decided to close my booth after Christmas so I am going to hold on to my finds for a while. I'm with you - I like all that kind of stuff! 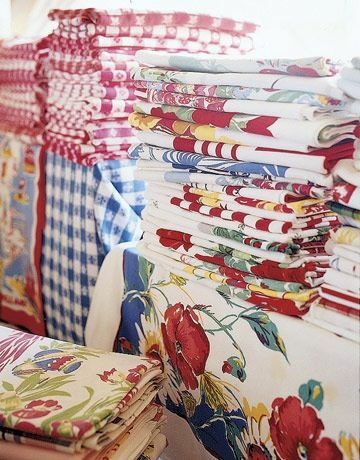 Very pretty- I always think of my grandparents when I see these older linens- the feather pillows, and kitchen towels..exactly as I remember them. I love textiles too! Especially vintage ones. 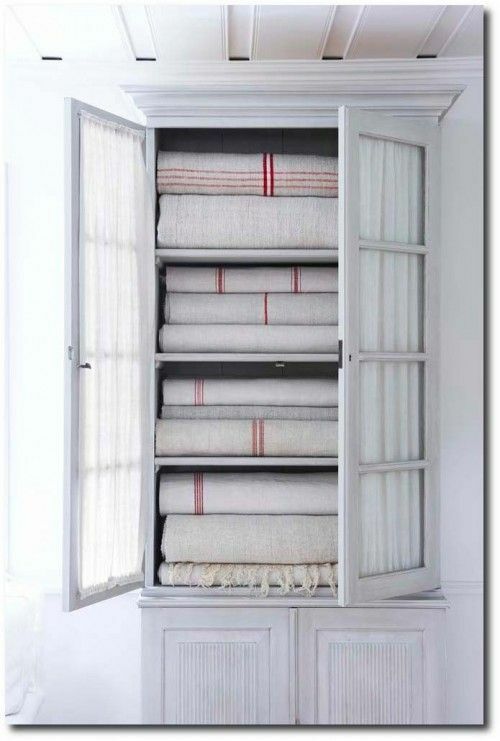 I have a number of vintage linens of various sorts that hide in drawers and cupboards. Some are out on display and some I change out seasonally. These photos look amazing. I wish I had places to display mine. Have you ever been to the Brimfield Antique Fair in Massachusetts? They have amazing textiles. There's also a yearly textile fair nearby that specializes in vintage designs. It's so much fun and people travel from all over the country, even the world, to experience it.